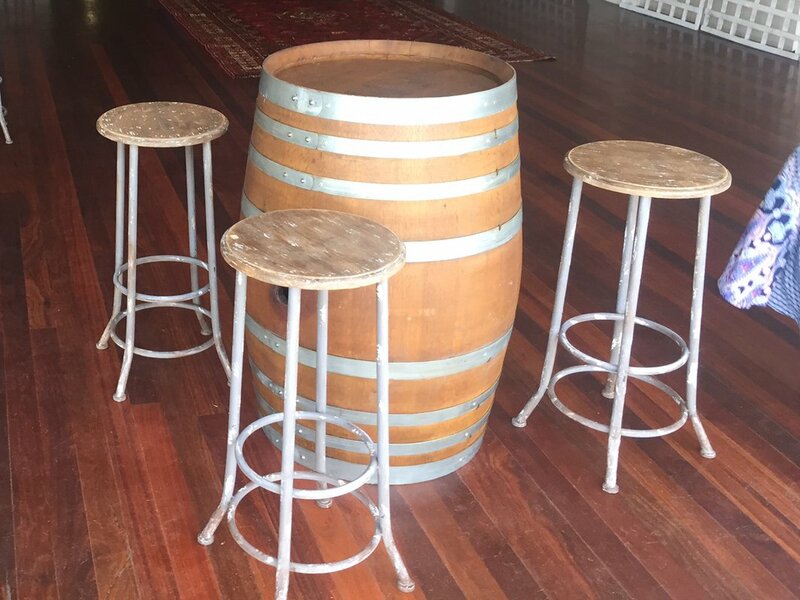 Our rare Rustic Wooden Topped Stools are only available at Wine Barrel Hire Sydney and in limited quantities. 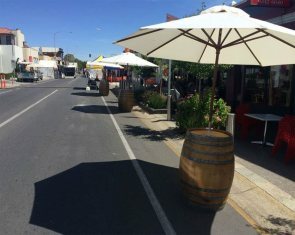 If you are inspired by the look of them, book now as they are in great demand! 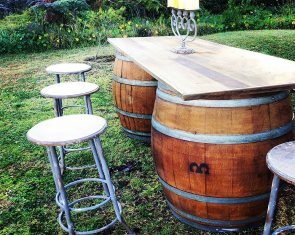 These stools match our vintage barrels and complete the look with 4 to 6 stools around each barrel. With a smooth, aged wooden finish, our stools are very popular at weddings and birthday parties. The hire price of the Rustic Wooden Topped Stool is $15.00 plus GST. 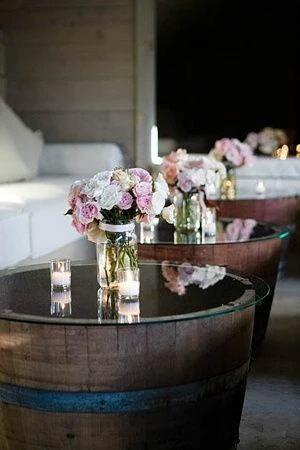 Half Wine Barrel Coffee Tables with smoked glass for a sleek statement piece that’ll turn heads.